Prince Harry can carry a tune! The former military pilot tested out his chops while leaving an event with pregnant Duchess Meghan by his side. “Harry sings a few lines from the famous Sound of Music song ‘So Long, Farewell’ to a staircase lined with young Canadians as the couple depart Canada House,” royal producer Lizzie Robinson tweeted alongside a video that showed the British royal, 34, briefly breaking out in song while people in the room erupted in laughter. The exit came following Harry and the 37-year-old Suits alum’s visit to Canada House in London for the Commonwealth Day youth event on Monday, March 11. The duo — who wed in May 2019 and are awaiting the arrival of their first child this spring — participated in a variety of activities throughout the day, including making maple taffy, a popular Canadian candy. The parents-to-be were also showered with sweet momentos for their newborn on Monday. 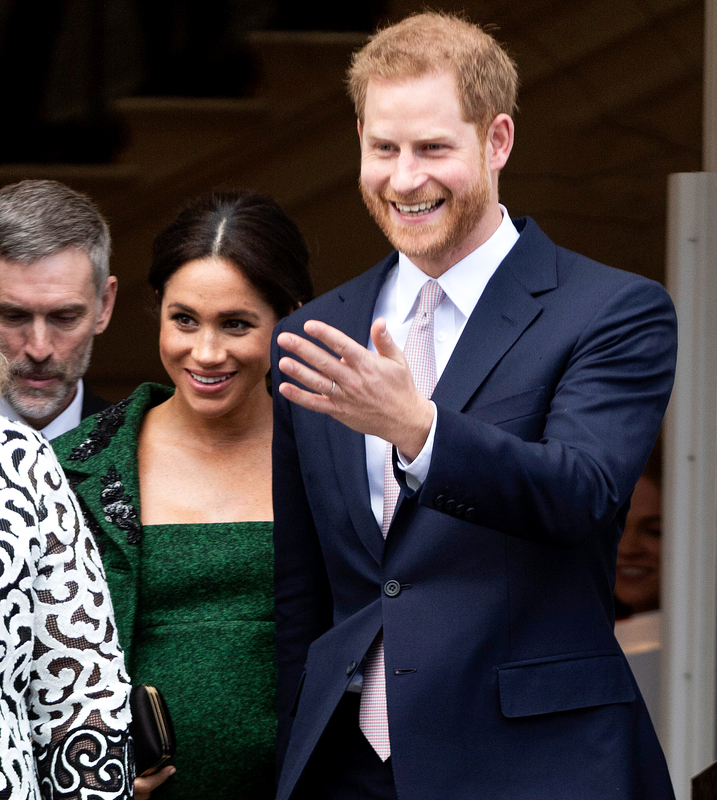 “Harry and Meghan were given a royal baby gift box before they left which included a maple leaf babygrow and tiny moccasins,” Robinson tweeted alongside a clip of the gift exchange, in which Harry and Meghan couldn’t contain their excitement. Harry then took the opportunity to thank the cast and crew for their help with his charity Sentebale, which raises awareness and supports the mental health and well-being of youth affected by HIV and AIDS in Lesotho and Botswana.